There have been rumblings about this for a while now, but on Thursday morning the Environmental Protection Agency made it official with a proposal to freeze fuel economy standards at 2020 levels until 2026. Kind of amazingly, this is in part because the EPA argues that lighter, more fuel-efficient cars are more dangerous. The proposal will further heat up a legal battle with the state of California, which sets its own pollution rules under a decades-old waiver. Should that waiver remain in place, automakers face the prospect of having to build cars for different markets, though the Trump administration has signaled that they will challenge the waiver in the courts, buoyed by the retirement of Supreme Court Justice Anthony Kennedy. The proposal is also a boon for automakers, at least in the short-term. 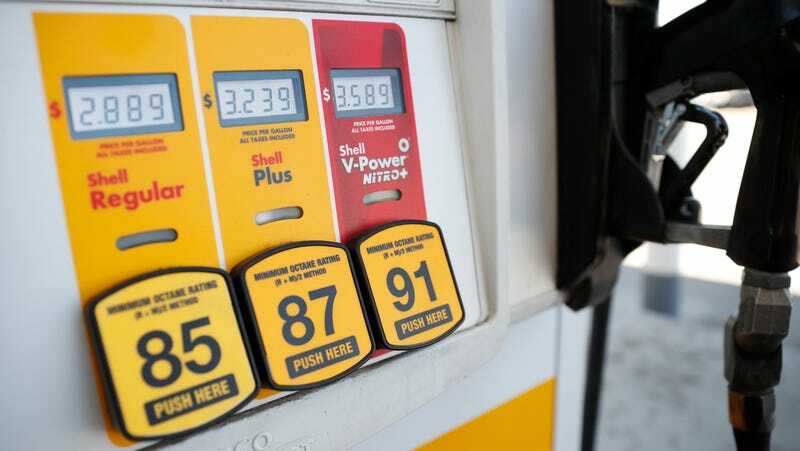 I’m skeptical that, long-term, automakers will see much benefit, as gas prices rise and consumers naturally gravitate toward more fuel-efficient and electrified vehicles anyway. And who’s to say that the automakers don’t spend most of or all of that money on fuel efficiency in the end? Odder still is their argument that lighter, more fuel-efficient cars are actually more dangerous than their heavier counterparts. This is true, to an extent, but it’s also misleading, since the safest situation would be for everyone to drive small, light cars, and for their to be fewer heavy cars on the road. A light car will lose in a collision with a heavy car on the road, but the real question is whether that heavy car should be there to begin with. None of this may end up mattering, since automakers don’t necessarily enjoy making cars heavy just for the hell of it. That’s raw materials they have to pay for, and fuel-economy losses that their competitors will be sure to take advantage of. And yet it’s still odd to see our government rolling back standards for—whose benefit again? Oh, right, mostly Big Oil.